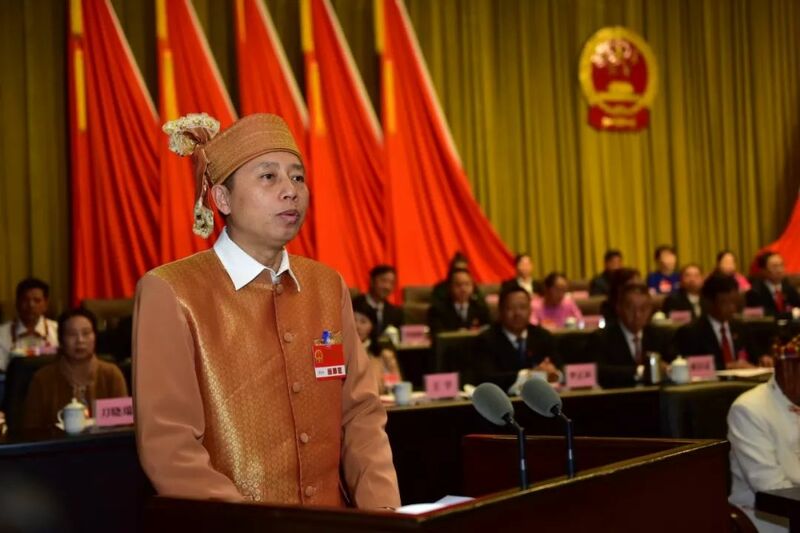 The First Session of the Fifteenth Dehong Prefectural People's Congress closes in Mangshi on the afternoon of February 6. The number eligible to attend was 277, with an eventual attendance of 272, reaching a quorum. 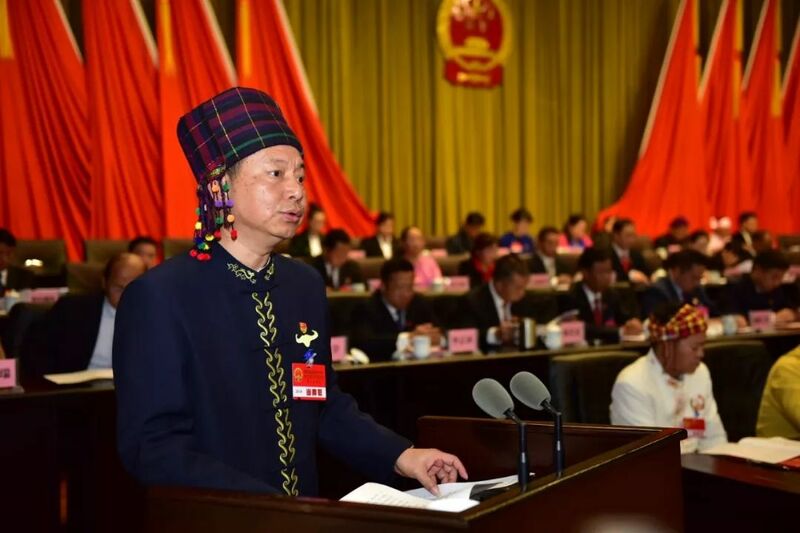 Wang Junqiang, the executive chairman of the third plenary session hosted the congress. 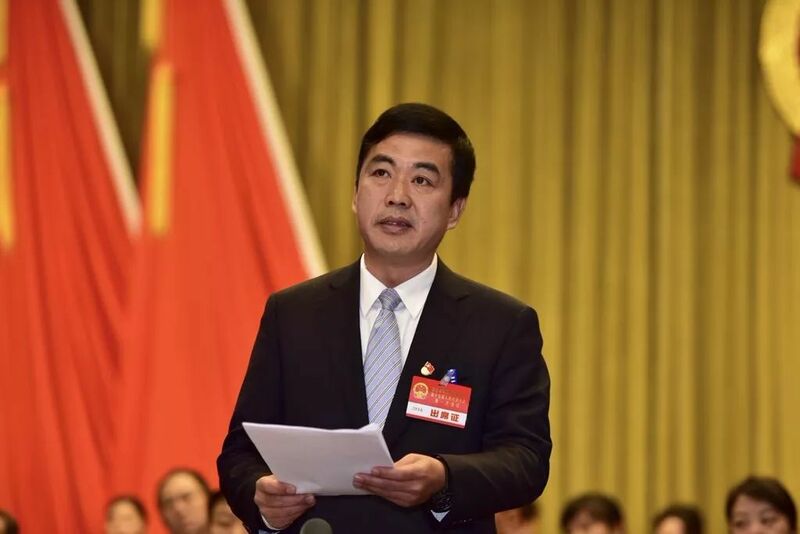 Among other executive chairpersons were Wei Gang, He Ruli, Pan Yueping, Wang Mingshan, Dong Chengbao, Yang Liyun, Song Yufa, E Tun, Zhao Xingzhuo, Zhao Lixin, Yang Huaxiang, Wang Shaodong, Zheng Guangyong, Zhao Jianhua, Nie Maohua, Feng Zuyi, Yin Qinfeng and Shi Daolong. Yang Ji, head of Provincial Supervision Team in Election, attended the congress and offered guidance. 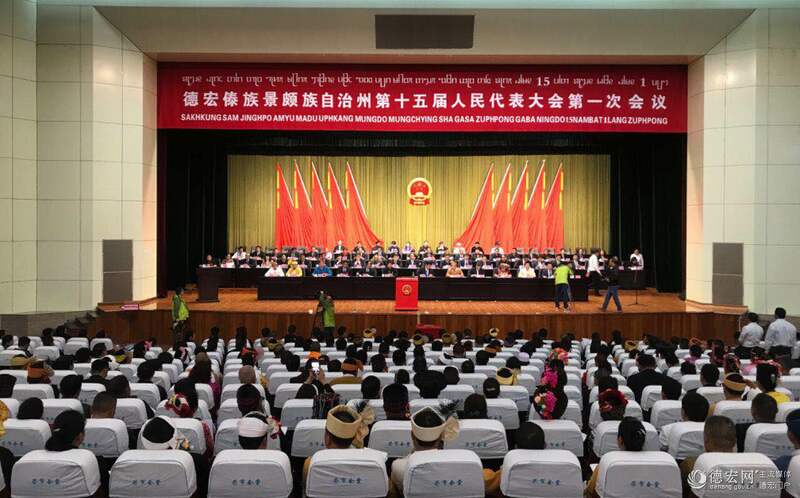 Among those who were seated on the rostrum were Yu Mayue, Huang Liyun, Li Zhiming, Yang Xianghong, Ma Yunfeng, He Yong, Hou Sheng, Liu Jiangyue, Yang Shizhuang, Li Zhenghuan, Liu Yongzan, Wang Yu, Li Chaowei, Guan Guozhao, Li Chuan, Yang Xing, Zhao Haiwei and Yang Yan. 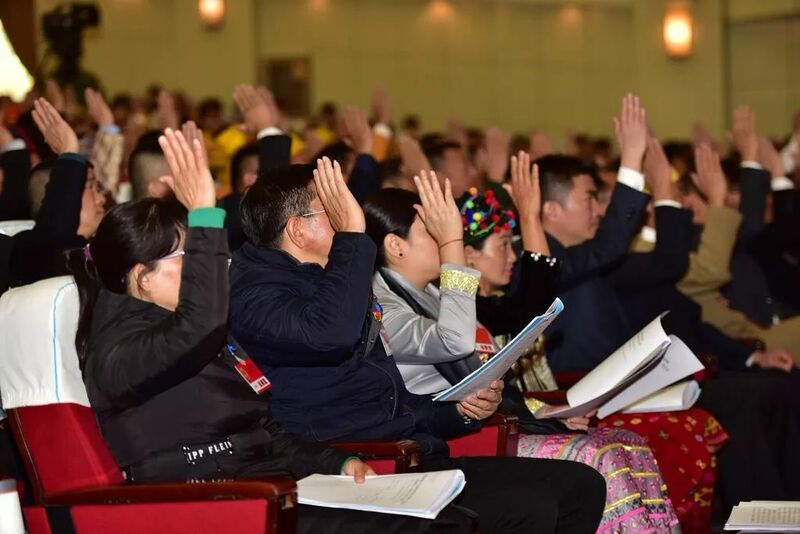 Several resolutions were adopted at the congress including the work report of Dehong government, the implementation of the plan for economic and social development of in 2017 and the plan for 2018, the implementation of local financial budget plan in 2017 and the plan for 2018, the work report of Dehong People’s Congress, the work report of Dehong Intermediate People’s Court and the work report of Dehong People's Procuratorate.